3D printing, can be applied widely, and be known as the source power of pushing the third industrial revolution. 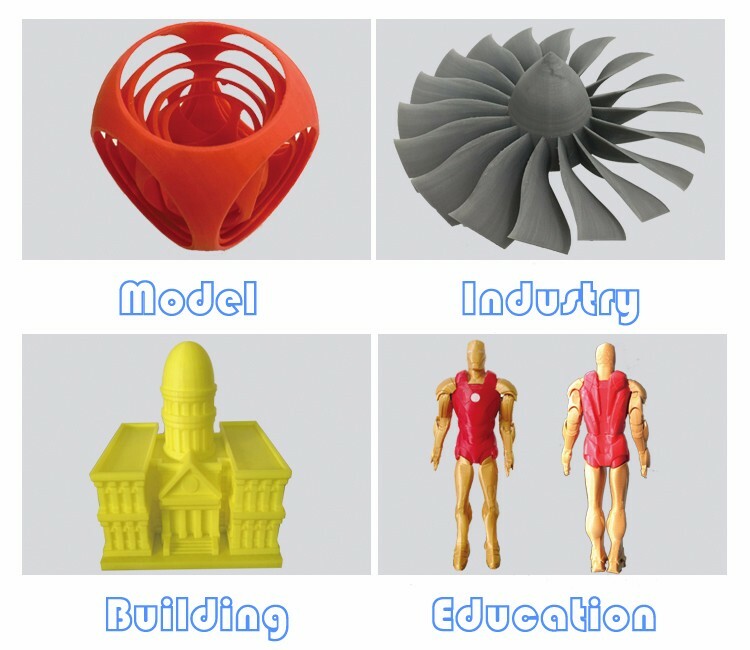 Using 3D printing can move the CAD 3D model from the screen to real life, do the product design and testing directly , and shorten the product development cycle greatly .3 d printing is widely used in aerospace, architectural design, automotive, consume products, education, health care, culture and art, and so on areas. 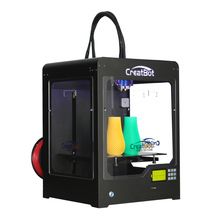 Above all, Creatbot 3D printer can meet your different requirements. 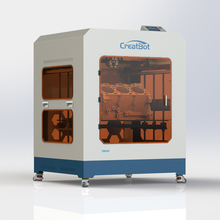 For the creatbot 3d printer DX plus 01, it support single extruder, and base on our new technology, it can support 400 degree for nozzle. What’s more, it has large build size, 300*250*520 mm, metal framework, 9 buttons keypads to control. The fashion performance, good quality model, you will satisfied with this kind! 2.Thermostat: With insulating cover for constant temperature printing space, preventing edge warping and deformation while large prototype printing. and the cover is easily removed. 3.Large Build size: Build size is up to 300*250*520mm (L/W/H), far more than other available 3D printer in the worldwide market. 4.Durable Nozzle: The extruder made by special materials and used advanced design technology, which is more stable and longer life. And can make 1 colors printing. 5.No Block: The new generation nozzle has formed a perfect solution and can prevent block the nozzle. 1. Industry For the industry, 3d printer can be used for industry to make mould. 2. Eduction It can build up the model in low cost ,so it is the good choice for school especially for the mould making school . 3. 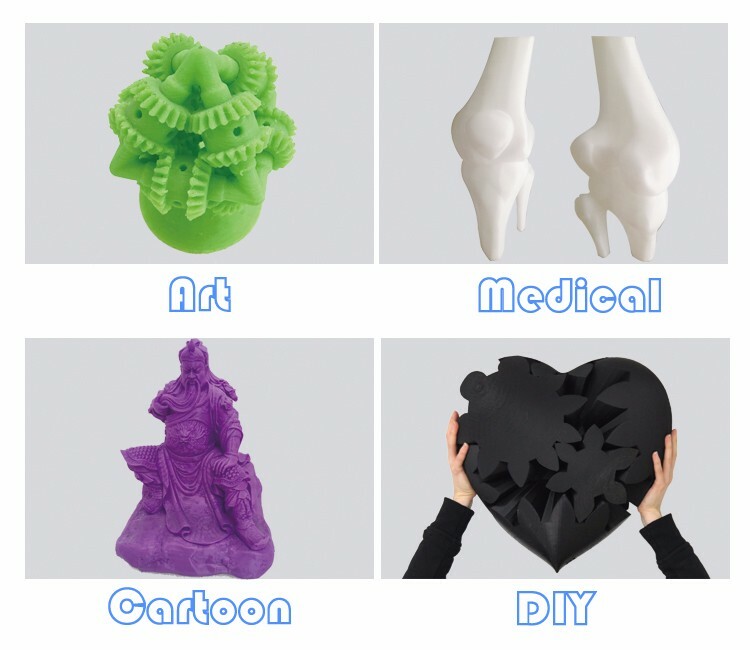 DesignYou are a designer, and can use 3d software to make 3d model, then you can freely use our machine to print your design out. 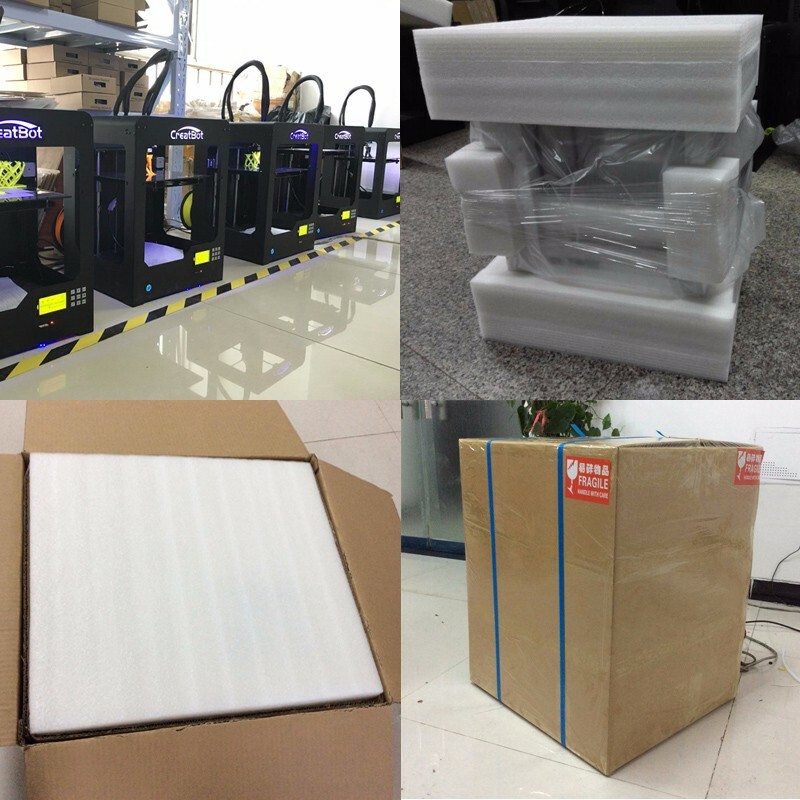 Our machine are packed by thickness carton, honeycomb board, and protective PE foam,which can protect Creatbot 3d printer in a good performance when you receive it. 10-20 days for mass production orders (based on different quantities). 8. How will you deliver my goods to me? We always ship by express, we cooperate with international expresses such as DHL,UPS, FedEx, TNT to enable our customers get their goods rapidly. What’s more, base on customer’s need, we could ship by air or sea. 9. What is the warranty of the machines and how about the after-sales services? Our warranty for main and core parts for the 3d printers is 180 days, we have strong after-sales service team who can reply your questions very fast. If you have any questions, please don’t hesitate to tell us. Welcome to visit our factory!